I love the sea, and being near the sea. For years I have wanted to own a beach hut; my beach hut would be blue, preferably situated on the Kent coast, and a source of pleasure in my old age. Well, this past week I bought a blue beach hut. 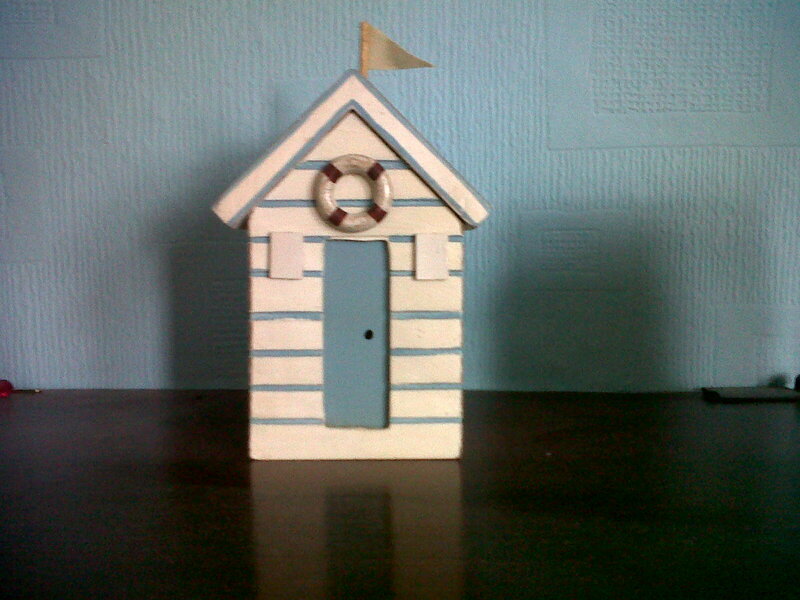 It may only be 6 inches high, and supposedly a money box, but to me it’s my beach hut and will have to suffice until the real deal is secured!